Evangelist and Pastor Rita Wiggins is married to Buddy Wiggins and they have two daughters: Teresa and Stephanie. Evangelist Rita was a member of a local church 15 years where she was an Associate Pastor for seven years until God moved her into the evangelistic ministry on a full-time basis. Rita was asked to help fill in as Pastor at Madison Worship Center where she was voted in as Senior Pastor in the year 2001. She is also on the Executive Advisory Board of the "Women of Excellence." Evangelist and Pastor Rita is founder of Rita Wiggins Ministries and has a website which she encourages you to visit: www.ritawigginsministries.com. She received a Doctorate in Evangelism from The Spirit of Truth Institute, in Richmond, Virginia. She also attended Word of Truth Seminary, and took several correspondence courses from Rhema Bible School and at the present time is an ordained minister under the covering of an Apostolic Ministry. Her experience includes radio and television. From 1990 until 2000 she was heard over WNDA 95.1 FM at 12:15, Monday through Friday. Rita's radio show was very popular and a great success and had a wide range of listeners. Other stations include WBXR 1140 AM, and WLOR 1550 AM, Radio Africa: Pan American Broadcasting. Her television experience includes Channel 58 Cable, Alabama, Comcast, Huntsville, Alabama and Cable G&S, Lansing, Michigan. Evangelist Rita has been featured on the program "For Goodness Sake" where her 1996 tent revival was aired on Channel WHNT 19 for two nights; and the 1997 Mountaintop Experience on Monte Sano Mountain was covered by the Huntsville Times. She has also appeared on TBN to discuss healing. Her publications include: CD Healing Scriptures (with music by Integrity) and numerous sermons on CD, radio broadcast recordings and revival recordings. Ministry experience includes Founder and Teacher of Pastor Rita's Healing School where people are taught the Word of God and encouraged to believe God and release their faith to Him. Evangelist Rita's travels have taken her to Africa, Italy, and Mexico, and from 1991 to the present, her ministry has traveled to Alabama, Tennessee, Georgia and South Carolina. She operates in the gifts of healing and working of miracles, and has seen God open blind eyes, heal heart conditions and cancers. She has truly seen the Holy Spirit in power and demonstration as He has healed babies still in the womb and brought people out of comas. Evangelist Rita has seen God come through for many when doctors have given them up to die. We know that you will be challenged and encouraged as she ministers the Life of the Word of God in demonstration and in power. 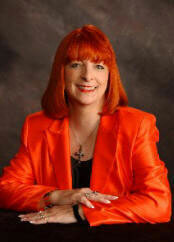 Pastor and Healing Evangelist Rita Wiggins is a much sought after national and international speaker.